The best peppers from around the world in absolute premium quality. Handpicked and slowly matured over a long period of time, this is what distinguishes these pepper rarities. White Kampot pepper is more intense in the taste than black pepper, but in the same time it fits very good to a lot of different dishes. The Andaliman pepper can be harvested exclusively in the rainforest. This pepper fits best to fish, see food and poultry. The long pepper is hotter than usual black pepper and has even more flavor. Optically it is similar to catkin. The Cubeb pepper is a pepper variety from Indonesia and Sri-lank. The taste reminds one of eucalyptus and fits great to meat and vegetables. Real black Kampot pepper is roasted caringly under the sun. The black pepper fits perfectly to dark meat. The Kampot pepper pack unites the most relevant pepper varieties from Cambodia. We have made these varieties exclusively for you. The Tellicherry pepper comes from the harbor town in India that has the same name. The taste is somewhat nutty with a light tea flavor. 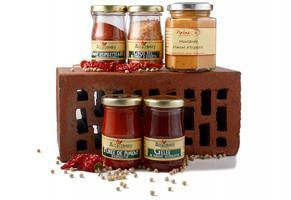 The exclusive pepper classic pack should be part of the basic kitchen equipment. 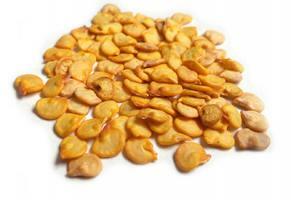 The different varieties also vary a lot when it comes to the taste. The Tasmanian pepper is also called the mountain pepper. The taste is at first sweet and then definitely hotter than the black pepper. The premium pack is a combination of the most noble pepper types that exist on earth. Not only the scarcity makes it so valuable, but also the taste. This pepper grows wild in the jungle and is really multifaceted through its many taste notes. All the World of Pepper varieties in one pack. Now you will not miss any pepper in the kitchen! Hand picked, extremely aromatic pepper. Mighty heat and outstanding aroma - lend a fiery punch to your meals. Pepper from the Sambirano Valley with a warm taste - very aromatic! An interesting book about the health aspect of chilies and (real) pepper, with spicy cooking recipes. 176 Pages, colored throughout, hardcover. The Timut Pepper comes from Himalaya. The taste of the 'Nepalese Szechuan pepper' impresses with its fruity taste. You can finally buy pepper in the Pepperworld Hot Shop! Pepper refers not to just one type of pepper! First of all, we have to clarify what this spice is. The peppercorns are the fruits (berries) of the pepper bush. Depending on the degree of ripeness, at the time of harvest, the grains are colored differently. But which color stands for which degree of maturity? The ripe berries, are the white peppercorns. The black ones are the immature ones. Also, the green pepper is obtained from unripe berries, for this, the not yet mature fruits are placed in a brine. The exotic is the red pepper, also called Szechuan pepper, this comes from the Asian pepper bush. But one type that is actually made out of chilli peppers, is the cayenne pepper. ... Where does the pepper actually come from? What should be considered if you want to grow pepper yourself? If you want to harvest your own pepper, you must be aware in advance that this is not just a short phase. A pepper bush can become very old, up to 30 years sometimes. However, it cannot stand outdoors all year round, as it is too cold for that. 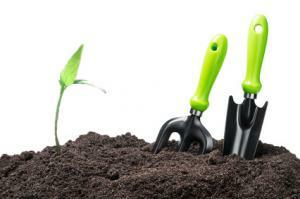 The ambient temperature must not fall below 18 ° C, otherwise the shrub will be destroyed. 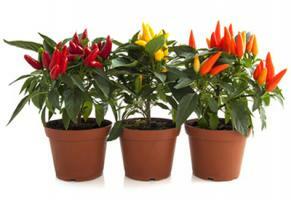 A greenhouse or winter garden is therefore ideal for growing pepper. Responsible for the heat in the pepper are the alkaloid piperine and derivatives of peperin (piperettin, piperylin, piperanin, chavicin). Depending on the type of pepper, other substances of varying composition are added, which are called alkamides. Pepper also contains essential oils, depending on the pepper, in varying proportions. These oils give the pepper its flavor. What options does the pepper offer? Of course, the pepper is primarily used as a spice in the kitchen, depending on the dish, but it is arguably the most important in the world, there is hardly a dish without pepper. The applicability possibilities are really diverse. Depending on your personal taste, you can give every food the right kick. Of course, the spice should not be left out when grilling. What methods can you use to iron out "kitchen accidents" with pepper? A raw potato also reduces the spiciness. That pepper can attack the mucous membranes - it is well known - it is not for no reason that there are the so-called pepper sprays for self-defense. But what can you do if it happens for you to have a mishap in the kitchen with the pepper. If the spice gets in your eyes, the most important thing is to stay calm. Then you should go to the sink and rinse your affected eye under running water. The water has to be lukewarm. The urge to rub is great, but also treacherous. If you rub the spot, you only make the situation worse. If after flushing there is no improvement, you should definitely go to a doctor. Cayenne pepper must not be rinsed out with water, since it is strictly speaking chilli. In this case, it is best to moisten a kitchen towel with oil and put it on the eye. One possible way of transmission is your hands, so you should wash your hands thoroughly after using pepper in order to avoid any undesirable situations. Because, we humans often unconsciously touch our face many times a day. A peppercorn contains many essential oils, which are responsible for their smell and also for their taste. 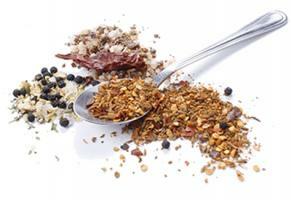 For this reason, it is advisable to grind the spices fresh in a pepper mill or crush in a mortar. The essential oil of pepper, can be bought also already extracted. It is often used, for example, for the so-called aroma therapy. There are several types of pepper. The color of the grain provides information about the degree of ripeness of the fruit. Red pepper is a specialty because it is an Asian variety. 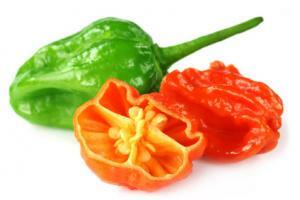 The so-called cayenne pepper is not a "real pepper", but is obtained from chilli peppers. Originally, the spice comes from India, which clarifies also where the pepper grows. Pepper has also been indispensable in our kitchen for many centuries. 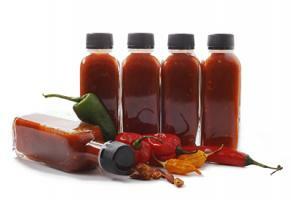 Its hot taste and the typical smell of the pepper is owed to the etheric oils. If for some reason you have spilled a little bit too much pepper in the food, there are more methods to make it good again. If the spice has come into your eyes, you have to remain calm. If the spice comes into contact with the eyes, it is enough that you rinse the eyes with warm water. In order to grow your own pepper, you would need a greenhouse because the bush cannot survive the wintertime. By the way, did you already know…? Chilli has been mistaken by Christopher Columbus due to its heat for a pepper variety. This is the reason why the chilli has the same Spanish name as the pepper: Pimenta. This is why the chilies are also very often named the “Spanish pepper” and they are called also “peppers”. This is not truly correct, but the discoverer sets the rules ;) This is also where the name of out Shop comes from: Pepperworld Hot Shop. Thankfully in our shop you can find both “pepper” and “peppers”.